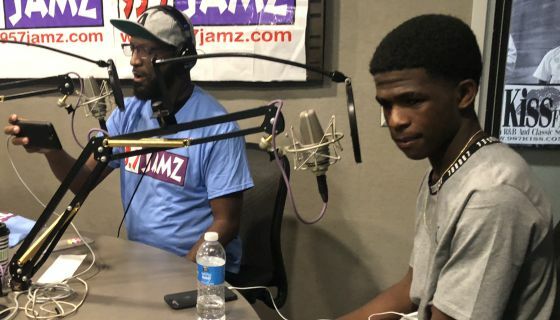 Syndicated radio host Rickey Smiley gave a new car to a Birmingham teen after a photo of him walking to graduation went viral. WVTM-TV tells the story of a determined Birmingham teen whose journey to graduation was more difficult than most and captured the attention of Smiley. He then reached out to the teen Corey Patrick for an interview and promised that he and others would team up to buy the Tarrant High School graduate a new car. "I need you to go and get your driver's license. We're going to buy you a car," Smiley told Patrick, who said on air that he's received a scholarship offer from Jacksonville University in Florida. His mother said nothing is official yet, though. A spokesperson for Smiley reached out to WVTM 13's Marlei Martinez and informed her about their plans to present a new car to Patrick on his show. A bus driver’s social post of graduating high school student Corey Patrick became a viral sensation, landing the youth on the Rickey Smiley Morning Show, where he was rewarded for his determination with a car. Rickey Smiley, who hosts the award-winning nationally syndicated morning show, invited Patrick on the radio show following his graduation acknowledging, “We want to thank you Corey, for showing us the definition of determination,” regarding his daily commitment to catch an early morning bus to travel crosstown to complete his high school education. Smiley then told Patrick he would need to get a driver’s license and that Smiley, along with R&B hitmaker Tyrese and 95.7 JAMZ in Birmingham, AL would work to get him a car. In less than 24 hours, Corey Patrick had a brand new car from University Chrysler Dodge Jeep Ram of Anniston, AL. 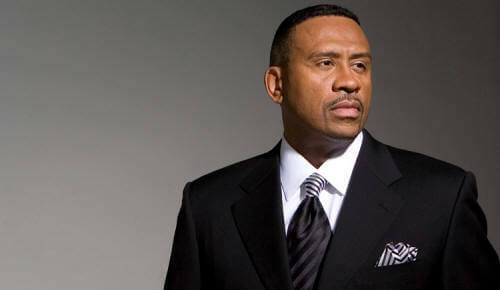 On the popular radio show, Smiley further stated “You inspire so many people. You inspire me to do better.” Smiley referenced the fact that Patrick woke up at 4am to catch a bus in the 5 am hour to get to school at Tarrant High School in Tarrant, AL. The interview, video and pictures can be found on the show website https://rickeysmileymorningshow.com/tag/corey-patrick/and on Rickey Smiley’s social media. The interview and story have grown further, being shared digitally and through broadcast including on NBC’s Today Show, CNN, People and more. The Rickey Smiley Morning Show is heard weekdays nationally from 6 – 10 am ET on nearly 60 radio stations.